Razor just off a 6-lap synthetic coticule barber hone refresh x 25 pasted linen x 50 horsehide. Shaving smooth as glass. Love it. 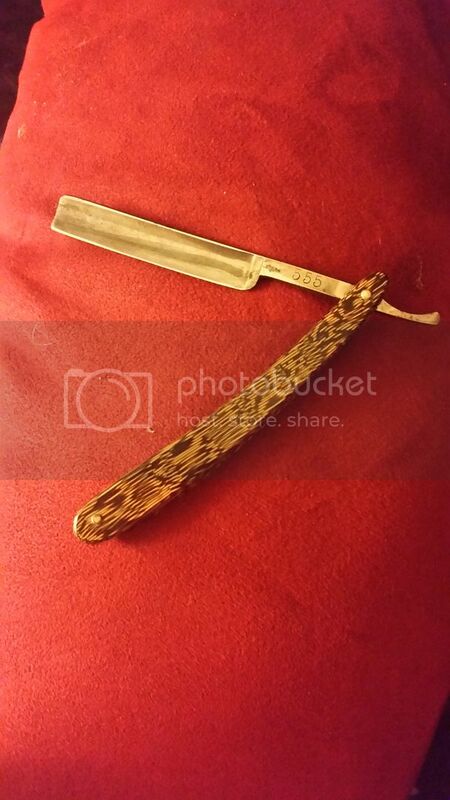 I am a straight razor guy myself. Just startedas fall, so I bought one with replaceable razors. Want to make sure I liked it be for Going pro and getting a permanent blade that needs maintained. Cost spent on shaving is now a few pennies a mounth. Make a good pair of strops from a seatbelt. Barbers hone on ebay probably under $25 or abrasive strop treatment crayon $4.00..
One of my best shaving razors came from a flea market for $7.00*. These's probaby even a qualified guy or two here who would help a BOTL out by honing a razor gratis. *OK - so it was nasty, dirty, rusty, needed some sanding, polishing and a new edge but that was + nothing. Alright, so I blame you for pushing me down another slope! 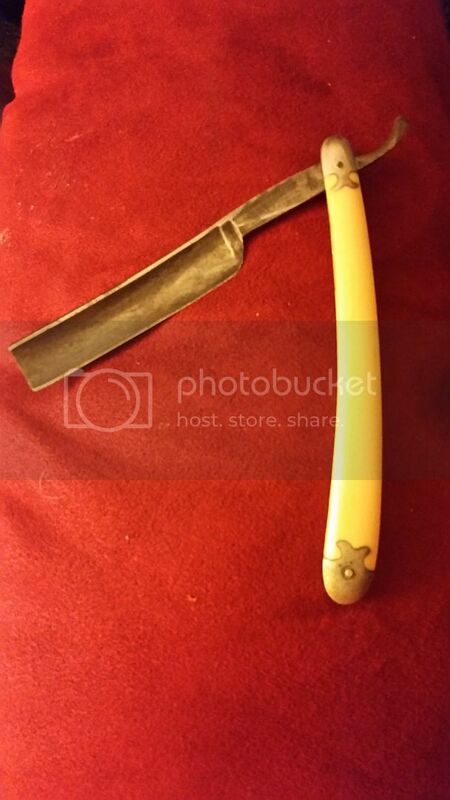 I did some ebay watching and ended up with 2 vintage straight razors. From what I have read they where made between 1920 to 1940. Picked them up for $10.50 each. I don't have the nerve nor precision to attempt a straight razor shave. Nuts! !